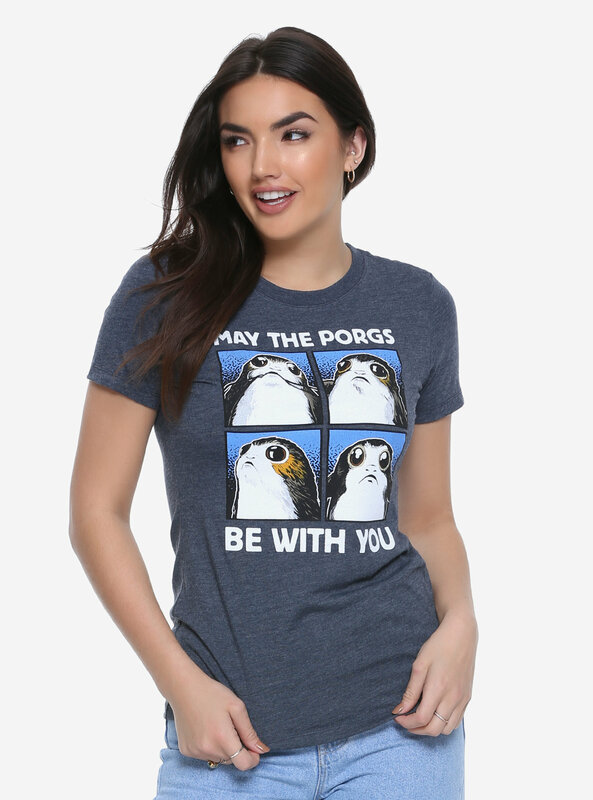 This new women’s Star Wars Porgs t-shirt is now available exclusively at Box Lunch. 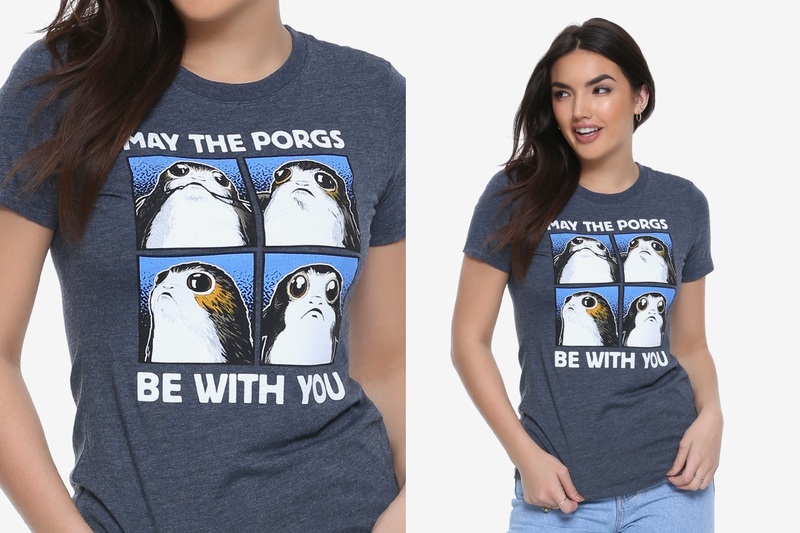 Made from 50% polyester, 25% cotton, 25% rayon, the heather blue t-shirt features a front print of 4 porgs, with the text ‘May The Porgs Be With You’. It’s okay, you’re allowed to say your favorite part of The Last Jedi featured the adorable avians. This fitted blue tee features a porg heavy design. May the porgs be with you. 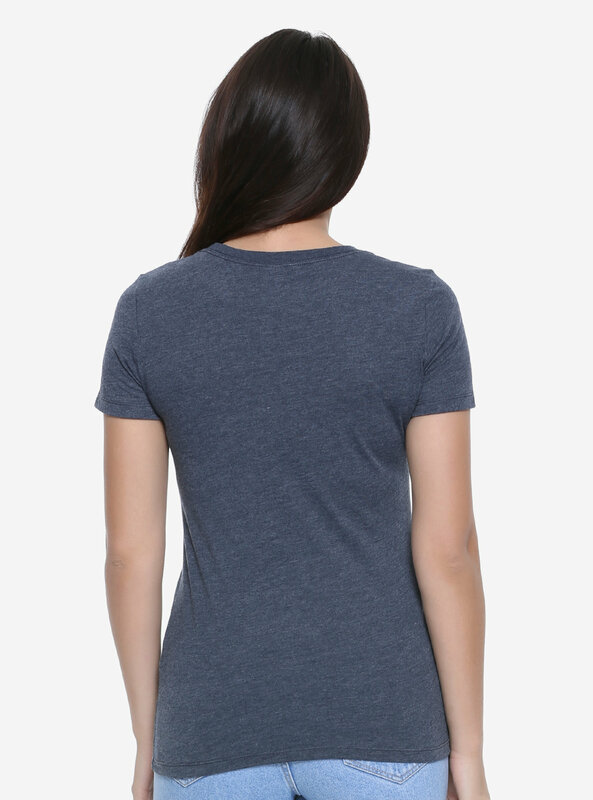 Available in sizes XS to 2X, the t-shirt is priced at S$28.90 each – but is currently on sale for only US$23.12 each. Box Lunch can ship internationally, which is great!